One of the common subtypes of arthritis, a disease characterized by inflammation of the joints, is rheumatoid arthritis. This article outlines the causes, symptoms, diagnosis, and treatment of rheumatoid arthritis. Arthritis, a disease that is characterized by inflammation of joints, is a painful and debilitating disorder that leads to joint stiffness and pain. 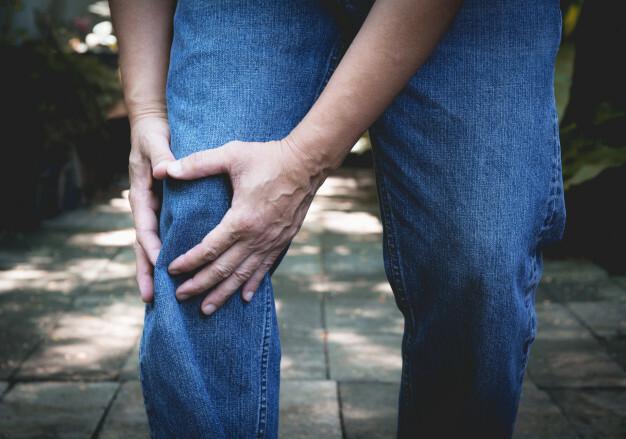 There are more than a 100 different forms of arthritis, the major categories of which include degenerative arthritis (osteoarthritis), inflammatory arthritis, infectious (septic) arthritis and metabolic arthritis. One of the most common forms of inflammatory arthritis is rheumatoid arthritis, which affects both the hands and the feet first, but can also occur in other joints. Rheumatoid arthritis is a systemic disease, which means that, aside from the joints, it affects the whole body. Rheumatoid arthritis is very common and some studies estimate that rheumatoid arthritis affects up to one percent of the world’s population. What should everyone know about it? Rheumatoid arthritis is an autoimmune disease, which means that it it develops due to an impairment in the body’s immune system. Generally, the immune system protects us from foreign pathogens and keeps us healthy. However, in the case of autoimmune disease, the immune system starts to attack our body’s healthy tissue. Inflammation is a mark of the immune system, hence, in patients with rheumatoid arthritis, inflammation can occur in several tissues and organs including the joints, lungs, eyes, and heart. In rheumatoid arthritis, the immune system attacks the synovium (the smooth lining of a joint), which can cause the synovium to become inflamed and thickened. If left untreated, the inflammation can destroy cartilage, which is the connective tissue that cushions the ends of bones. While it is not known exactly why certain people develop rheumatoid arthritis while others don't, studies have shown that some patients have genetic factors that predispose them to inflammation and subsequently arthritis. One of the scientific theories is that bacteria or a virus triggers rheumatoid arthritis in people with this genetic feature. Symptoms of rheumatoid arthritis tend to come and go, and are not constant. Hence, during a phase of remission, symptoms can disappear or be mild, and during a flare, they can be severe. Age. People that are 60 years or older are more likely to develop rheumatoid arthritis. Gender. Females are more likely than males to develop rheumatoid arthritis. Not having given birth yet. Smoking tobacco or having parents that smoked when they were children. Diagnosis: How is rheumatoid arthritis diagnosed? A diagnosis of rheumatoid arthritis can often be difficult to make as it can mimic other diseases. It is, however, very important to diagnose rheumatoid arthritis as early as possible as early treatment is ideal to slow down progression of the disorder. Ideally, the patient should be diagnosed and treatment should be started within six months of the onset of symptoms. Blood tests such as erythrocyte sedimentation rate (which measures the levels of inflammation in the body), c-reactive protein levels (another measure of inflammation or infection), presence of anemia (when there are too few red blood cells in the blood), and presence of rheumatoid factor (which is an antibody in the blood that is indicative of rheumatoid arthritis, though not everybody with rheumatoid arthritis will have this). Imaging scans and X-rays can help determine the type of arthritis you may have and how severe the inflammation is. It can also be used to track the progress of rheumatoid arthritis over time. Swelling is present in at least one joint, and does not have another cause. Results from at least one blood test indicate rheumatoid arthritis. Symptoms have been ongoing for at least 6 weeks. Medications. This includes nonsteroidal anti-inflammatory drugs (NSAIDs), such as ibuprofen, which can help counter inflammation. Patients can also be given corticosteroids, which help reduce pain and inflammation and slow down joint damage. Patients can also receive disease-modifying antirheumatic drugs (DMARDs), which help slow down progression of the disease and prevent permanent damage by interfering with the immune system. Finally, another class of drugs known as tumor necrosis factor-alpha inhibitors (TNF-alpha inhibitors) help counter inflammation and reduce pain, morning stiffness of joints, and swollen or tender joints. Occupational therapy. Occupational therapists can help teach strategies that allow patients to carry out everyday tasks more effectively and minimize stress to painful joints. Surgery. Surgery can help repair damaged joints, correct deformities and reduce pain. The procedures that can be performed include arthroplasty (total joint replacement), tendon repair (restoring tendons that have loosened or ruptured around the joint), synovectomy (removal of the synovium if inflamed), arthrodesis (fuse a bone or joint to decrease pain and realign or stabilize the joint). Steinbrocker, Otto, Cornelius H. Traeger, and Robert C. Batterman. "Therapeutic criteria in rheumatoid arthritis." Journal of the American Medical Association 140.8 (1949): 659-662. McInnes, Iain B., and Georg Schett. "The pathogenesis of rheumatoid arthritis." New England Journal of Medicine 365.23 (2011): 2205-2219. Harris Jr, Edward D. "Rheumatoid arthritis: pathophysiology and implications for therapy." New England Journal of Medicine 322.18 (1990): 1277-1289. What side effects are linked to Arava rheumatoid arthritis drug?